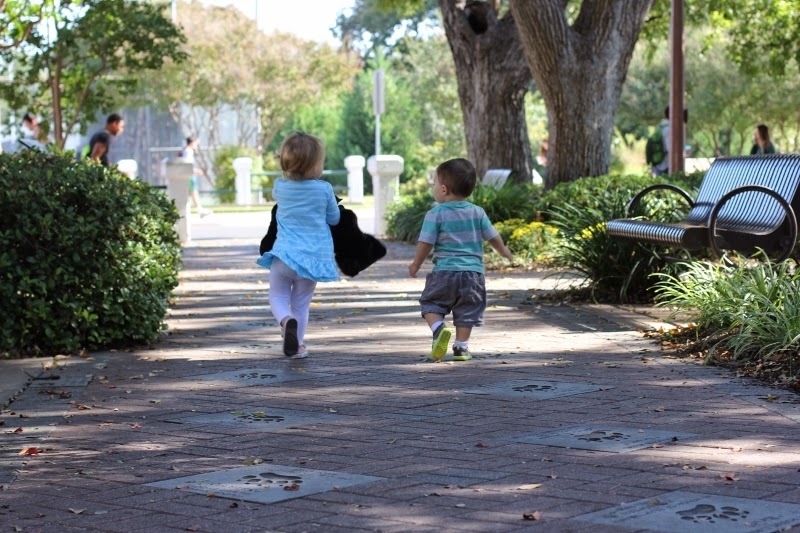 My sister and I both write for the family travel review website, Trekaroo and had the opportunity to go to Waco with our babes to explore and visit a few attractions for some writing material. Waco, TX is home to Baylor University, Jon's alma mater, and right smack dab in the middle of Austin and Dallas, where my sister lives. I packed up Ford on Tuesday morning and we headed northbound on I35. We stayed at Hotel Indigo Waco and I can't speak highly enough of our accommodations! If you are looking for a hotel to crash at to see a Baylor game or visit Waco, Indigo is your place. 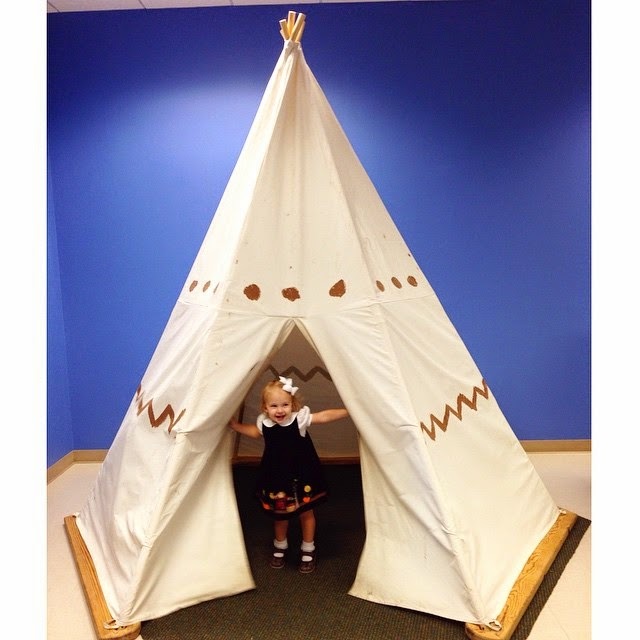 It is brand new, beautiful, boutiquey, and perfect for littles. I always get nervous going to new hotels with Ford because he goes to bed so early and it kind of stinks when the room is small and I have to sit in silence from 7:30pm on but Hotel Indigo had a little corner perfect for his pack and play and I was able to catch up on 19 Kids and Counting after he went to bed. Phew. The first thing on our itinerary was visiting the Bill and Eva Williams Bear Habitat. The Baylor University mascot is the Bear and there are two adorable North American Black Bears, Joy and Lady, that live in the "Bear Pit". 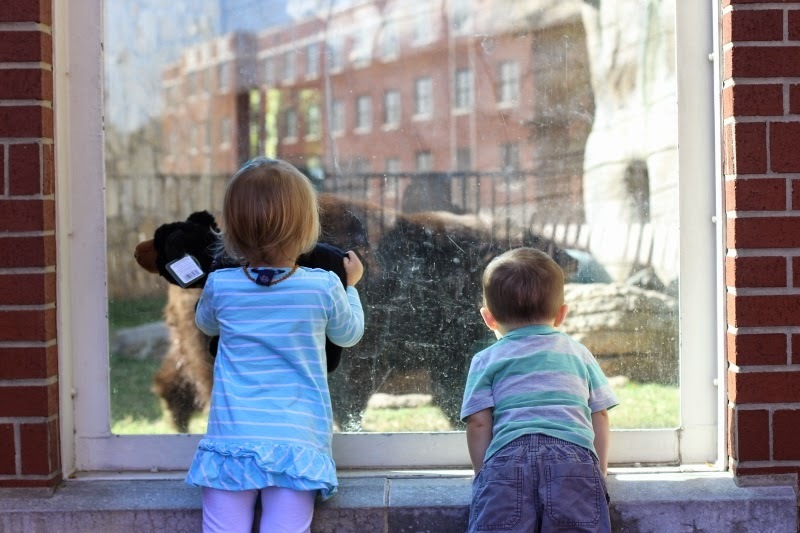 Embry and Ford were given their own Black Bear stuffed animals so we brought them along and they loved showing them to Joy and Lady. It was perfect timing because we saw the bears get their morning meal....peanut butter and jelly sandwiches! 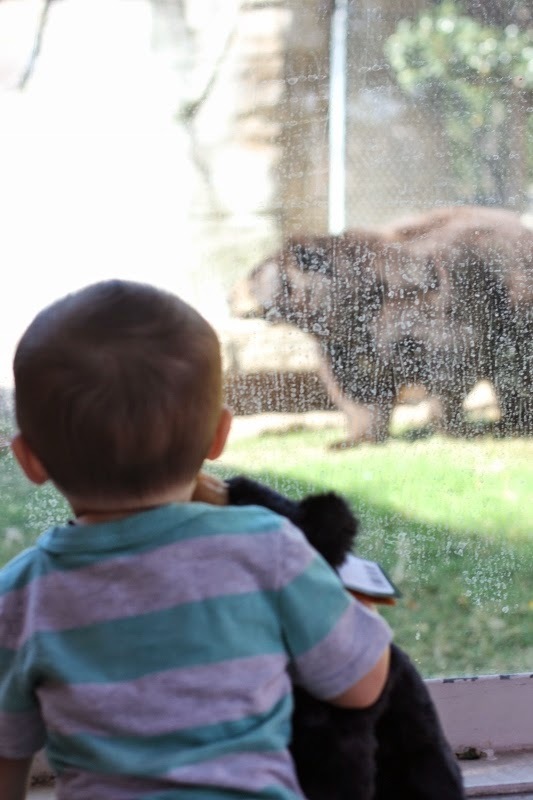 Ford had no fears and ran right up to the glass and squealed at the bears. Knowing we were going to the zoo the next day, I got super excited for him to see even more animals! I mean... could they be any cuter? 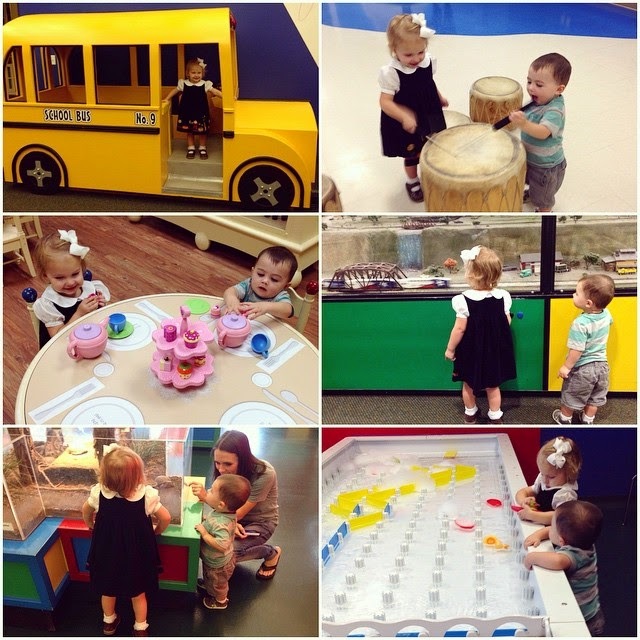 After the babes took their afternoon naps, we headed to the Mayborn Museum Complex to check out the children's area. Cori and Embry frequent the Dallas Children's Museum quite often and Ford and I have been to the Thinkery in Austin a few times but the Mayborn blew us away! Two whole floors were dedicated to children and there was room after room of interactive play. Ford drove a huge firetruck and school bus and ran around on a life sized piano. It was incredible and the babies had a BLAST! 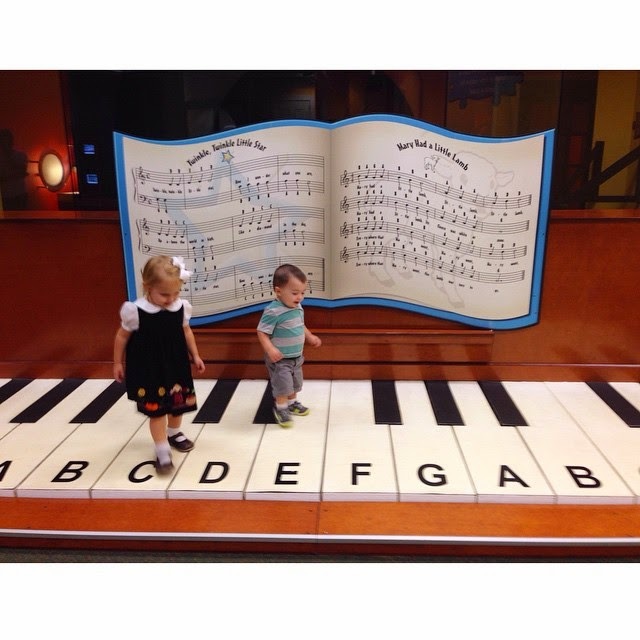 They were so cute running up and down the halls of the museum, overwhelmed by all it had to offer. We had a tea party, created human sized bubbles, and made all sorts of music in the "country themed" room. We knew Embry and Ford would sleep hard that night because they did NOT stop moving for 2 hours. I seriously wish the Mayborn was in Austin! It didn't surprise me that Ford dove for his crib later that night (although lately he loves going to bed so he can play with his loveys and blankets and roll around) and slept a solid 12 hours. We had a yummy breakfast at Chick Fila the next morning before heading to The Cameron Park Zoo. Ever since we met, Jon has been wanting to take me to that zoo. We are animal lovers and try to visit a zoo or aquarium on every trip we go on so a few years ago we tacked on a zoo visit when we were in Waco for a football game. 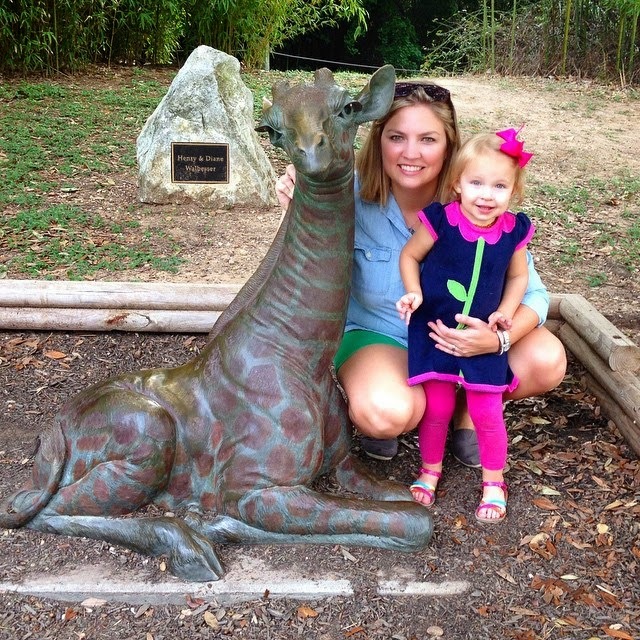 You may be surprised to learn that Waco has one of the best zoos I've ever been to. They have every "big" animal you'd ever want to see (elephants, giraffes, lions, tigers, monkeys, rhinos) and it is really a beautiful area. The whole zoo is shaded by a canopy of trees which makes it nice and cool for a summer visit and it's almost as if the animals are in their original habitats. Jon was getting SO jealous as I was sending him pictures and videos of Ford at the zoo, wishing he could be there to experience it. Thank goodness I brought the stroller because the grounds are sprawling, but Ford did a lot of running around squealing, screaming, pointing, and having the time of his life. It was one of the highlights of being his mama thus far, watching him have so much fun and have his mind blown by all of the animals. His favorite area was the sea life (just like his dad) and he was hilarious chatting with them and running around. His cocked hip kills me! Ford was asleep before we even got on the interstate and remained zonked out our entire drive home. We pulled into our house and all he could talk about was "da da! da da! ", I think he was ready to see Jon. It was so nice to get away, even for 24 hours a change of scenery with a toddler can be the perfect medicine for monotonous days. I loved getting to spend time with my sister and niece and the babies had so much fun together. Thank you to Waco & The Heart of Texas, Bill and Eva Williams Bear Habitat, Mayborn Museum Complex, and Cameron Park Zoo for hosting us. I was not asked to present a particular point of view and all opinions are my own. My boyfriends family are huge donors to that zoo, their names are everywhere! It is a super fun place. I had no idea there was stuff to do there! haha I'd love to visit that zoo. Looks like the funnest trip ever! Ford looks so grown up now. 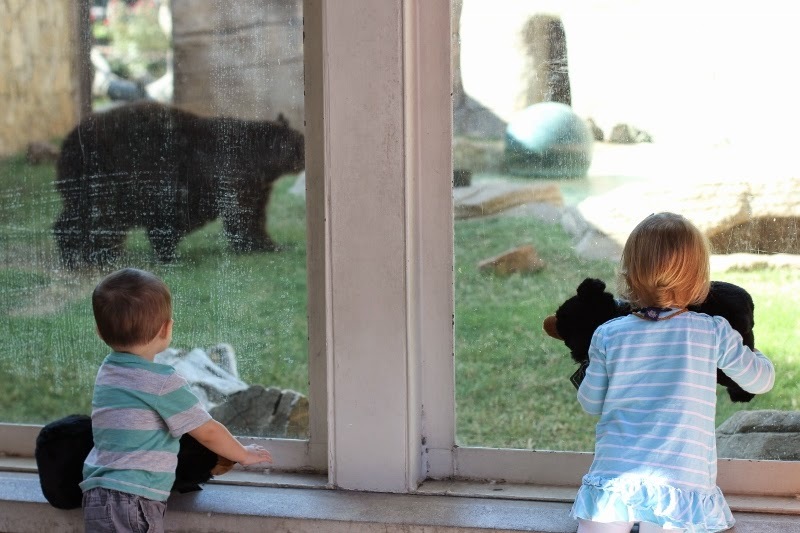 Love how the 2 of them carried around the plush bears while they were looking at the bear! I didn't realize Waco had such awesome stuff! I see the billboard for that hotel every time I drive down to my parent's. 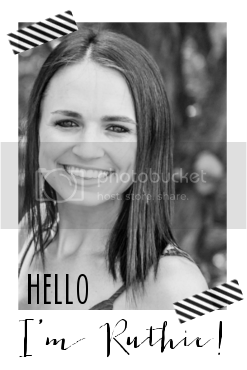 So cool to know that it is awesome! 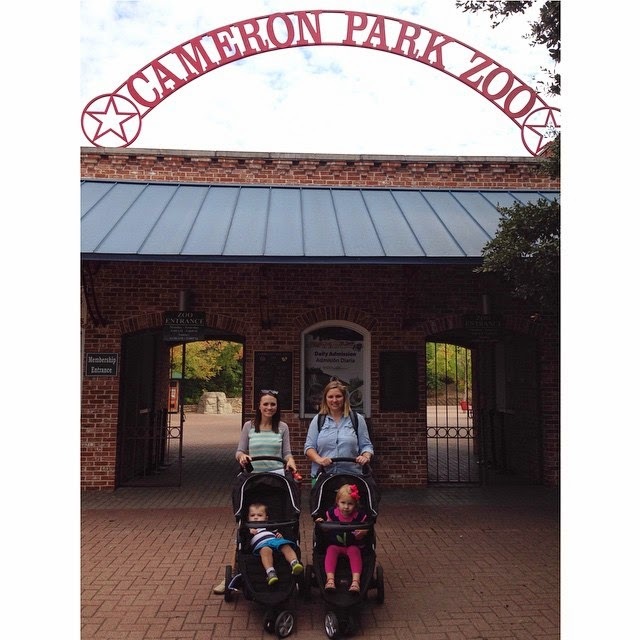 Im so glad you got to go and experience the Mayborn, Cameron Park Zoo and of course the bear habitat! As a Baylor Grad its so awesome to see that people outside the community actually come to see these things! Waco has changed a lot in the last 5 years and its great to see the town (and school) thriving! Glad you all had a great time! :) Sic 'em Bears!! Our little man's godmother is a doctor in temple, next time we visit her we will have to stop by the zoo! Looks like fun for adults AND kiddos. Speaking of Waco, have you seen the HGTV show Fixer Upper? I love it!